Select Market Bonus Cash good towards the purchase of a new and unused Chevrolet Traverse. Any customer not meeting the residency restrictions will receive a dealer discount in the same amount of the manufacturer's rebate. Not available with other private offers, special finance or lease offers. 1Discount 2Select Market Bonus Cash good towards the purchase of a new and unused Chevrolet Traverse. Any customer not meeting the residency restrictions will receive a dealer discount in the same amount of the manufacturer's rebate. Not available with other private offers, special finance or lease offers. 3Not available with special finance or lease offers. Take delivery by 04-30-2019. 4Conquest Consumer Cash for Owners/Lessees of a 2005 or newer NON GM passenger car or light duty truck for a minimum of 30 days prior to purchase, who purchase an eligible model. See Dealer for Documentation requirements. PRIVATE OFFERS MAY NOT BE COMPATIBLE WITH OTHER PRIVATE OFFERS. 5General Motors Lease Loyalty for purchase only. This offer is for eligible customers who currently lease a Buick, Cadillac, Chevrolet, or GMC passenger car or light duty truck through Ally, GM Financial, or US Bank in their household and PURCHASE a new and unused eligible model. Call Dealer for Documentation requirements and to see if you are eligible. OFFER NOT COMPATIBLE WITH OTHER PRIVATE OFFERS. 6Private Offer good towards the Purchase or Lease of a new and unused Chevrolet to customers who currently lease a 2014 or newer NON GM passenger car or truck. See Dealer for documentation requirements. This offer can be transferred to individuals residing in the same household. PRIVATE OFFERS NOT COMPATIBLE WITH OTHER PRIVATE OFFERS. 1Discount 2Adds 3Select Market Bonus Cash good towards the purchase of a new and unused Chevrolet Traverse. Any customer not meeting the residency restrictions will receive a dealer discount in the same amount of the manufacturer's rebate. Not available with other private offers, special finance or lease offers. 4Not available with special finance or lease offers. Take delivery by 04-30-2019. 5Conquest Consumer Cash for Owners/Lessees of a 2005 or newer NON GM passenger car or light duty truck for a minimum of 30 days prior to purchase, who purchase an eligible model. See Dealer for Documentation requirements. PRIVATE OFFERS MAY NOT BE COMPATIBLE WITH OTHER PRIVATE OFFERS. 6General Motors Lease Loyalty for purchase only. This offer is for eligible customers who currently lease a Buick, Cadillac, Chevrolet, or GMC passenger car or light duty truck through Ally, GM Financial, or US Bank in their household and PURCHASE a new and unused eligible model. Call Dealer for Documentation requirements and to see if you are eligible. OFFER NOT COMPATIBLE WITH OTHER PRIVATE OFFERS. 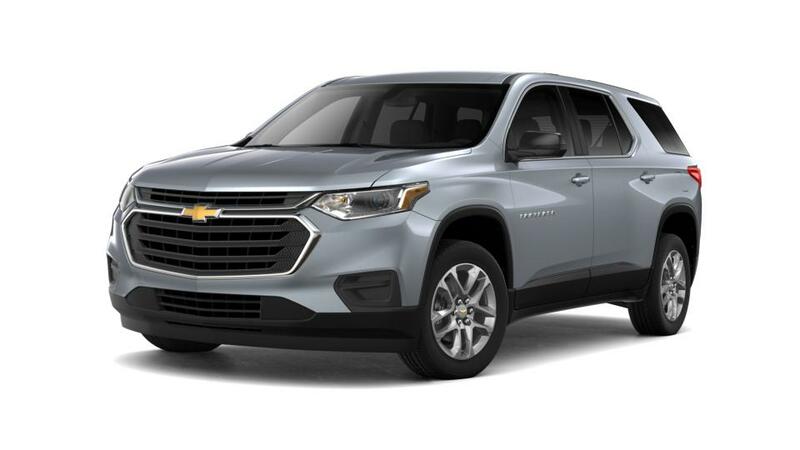 7Private Offer good towards the Purchase or Lease of a new and unused Chevrolet to customers who currently lease a 2014 or newer NON GM passenger car or truck. See Dealer for documentation requirements. This offer can be transferred to individuals residing in the same household. PRIVATE OFFERS NOT COMPATIBLE WITH OTHER PRIVATE OFFERS. 1Discount 2Manager Special 3Select Market Bonus Cash good towards the purchase of a new and unused Chevrolet Traverse. Any customer not meeting the residency restrictions will receive a dealer discount in the same amount of the manufacturer's rebate. Not available with other private offers, special finance or lease offers. 4Not available with special finance or lease offers. Take delivery by 04-30-2019. 5Conquest Consumer Cash for Owners/Lessees of a 2005 or newer NON GM passenger car or light duty truck for a minimum of 30 days prior to purchase, who purchase an eligible model. See Dealer for Documentation requirements. PRIVATE OFFERS MAY NOT BE COMPATIBLE WITH OTHER PRIVATE OFFERS. 6General Motors Lease Loyalty for purchase only. This offer is for eligible customers who currently lease a Buick, Cadillac, Chevrolet, or GMC passenger car or light duty truck through Ally, GM Financial, or US Bank in their household and PURCHASE a new and unused eligible model. Call Dealer for Documentation requirements and to see if you are eligible. OFFER NOT COMPATIBLE WITH OTHER PRIVATE OFFERS. 7Private Offer good towards the Purchase or Lease of a new and unused Chevrolet to customers who currently lease a 2014 or newer NON GM passenger car or truck. See Dealer for documentation requirements. This offer can be transferred to individuals residing in the same household. PRIVATE OFFERS NOT COMPATIBLE WITH OTHER PRIVATE OFFERS.